Spike Chunsoft has announced a limited edition for Steins;Gate Elite in North America. 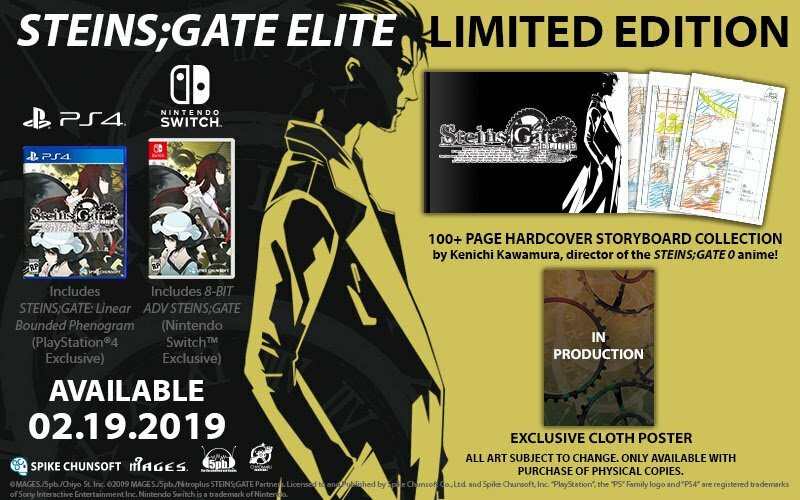 The Limited Edition comes with a copy of the game (along with a download code to redeem 8-Bit Adv Steins;Gate), 100+ page hardcover storyboard collection, and exclusive cloth poster. It’ll release on January 19, 2019.